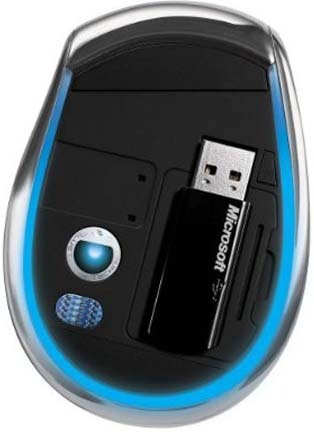 Blue Track Mouse From Microsoft - Can Use In Uneven Surfaces And AttachA Pen Drive In It ! A new type mouse is going to be unveiled by Microsoft with some effective performances. The name of the mouse is Blue Track mouse (Mice). The Explorer and notebook-sized Explorer Mini both mouse emit a blue light and have the optical sensor which generates a larger and higher performance than earlier type red-light optical or laser mouse. 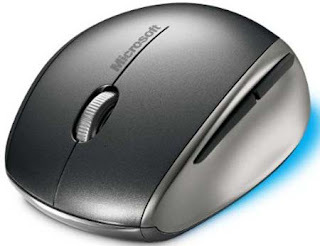 This features not only accuracy but lets the users to use this mouse even in uneven surfaces like carpet. The both mice have different type of charging methods. Explorer uses a lithium-ion pack while the other uses a pair of batteries and a mini USB receiver in the base itself. The prices of the mice are $100 for the desktop computer and $80 for notebook computers from November onwards.